The Seven Virgins mountain range is very suitable for travelers who would love to add some adventure to their trip. People who love wildlife and nature too will adore this unique unspoilt place. Saptha Kanya is considered one of the best hiking places of Sri Lanka. The mountain range became even more well-known after the tragic incident of a plane crash between the 2nd and 3rd mountain peaks in 1974, killing hundreds of passengers. 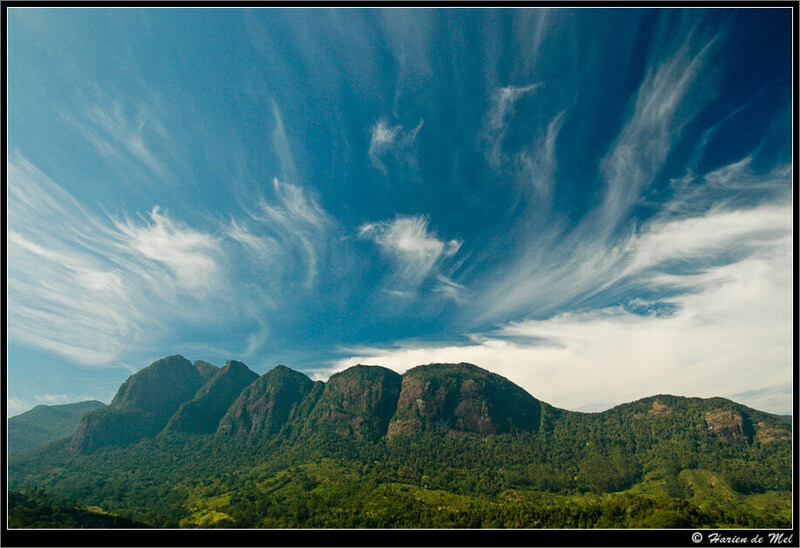 The Seven Virgins mountain range is located in Maskeliya, in Nuwaraeliya District. As the name indicates, the mountain range consist of seven peaks. The Luxapana falls, Sri Lanka’s eighth highest waterfall, in the background of seven Virgins mountain range is a treat to the eye. The view of sunrise from the peak is a striking view. The area is filled with lavish natural vegetation providing adventurers hiking opportunities through thick green bushes and steep slopes. You have to travel through Ginigathena to Norton Bridge and then a further 8km towards Maskeliya. About 1.5 km further, at a tea estate in Koththellana village begins the trail to Saptha Kanya. You can camp and continue climbing the next day as well, enjoying the breathtaking views. Saptha Kanya is located less than 2 hours away from The Amaya Langdale Bungalows in Nuwara Eliya. Ask our team at Langdale to arrange an excursion for you during your stay.